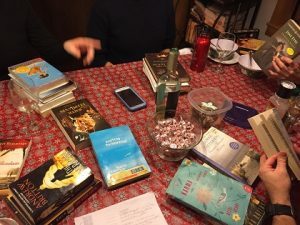 If you know me and my friends, I’m guessing you’ve heard us talk about our book club once or twice! I belong to two clubs: one meets locally, the other is virtual and we swap books through the mail then discuss online. Joining a book club can be intimidating, especially if it’s already established, but it’s worth taking the leap. As I’ve mentioned before, my friendships formed around a shared love of reading are unique and strong. Topics often come up for discussion that wouldn’t be raised in average conversation. Do your research. I’m talking about the club, not the book! It’s important to know you are entering into a venture with like-minded folks who share your goals and expectations. 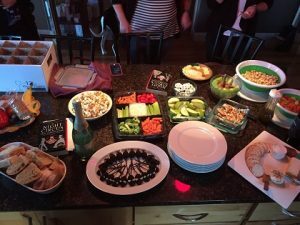 The first book club I was invited to was more of a “Mom’s night without kids to drink wine” club. That’s a fine reason to meet with friends, but I had pushed through a Holocaust novel and showed up ready for a serious discussion. I arrived to discover no one else had finished the book. I was so excited to be invited that I never stopped to ask what the group was about. Read the book. There are going to be exceptions here. 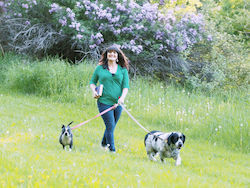 I’m an advocate for quitting a book you don’t like, but at least attempt it. If you can’t finish but still want to participate, read a summary or let your club tell you about it. Don’t plan to go and not discuss the book, or expect your members to withhold spoilers. Alternately, don’t judge someone who didn’t finish and is still ready to participate. Be honest. When everyone loves the book we read, that’s nice but it can limit discussion. If I loved a book and someone else (or everyone else, as is sometimes the case!) hated it, I’m always curious as to why our opinions are so different. Don’t withhold your opinion of the book for fear of hurting feelings or starting an argument. Refer back to rule number one so you avoid the potential for this situation! Make suggestions. In both my clubs, we rotate through who chooses the selections, but I’ve been in clubs where it’s a group effort to choose. Don’t always go with the flow if you want to suggest something outside the box. On the flip side, don’t shoot down others’ suggestions just because you don’t have an interest in reading the book. Eat food. I was invited to my physical book club after it had already been meeting for quite a while. One of their rules is each person is expected to bring a food or drink item which relates to the book. This requires I pay close attention to the book and retain details, which isn’t always easy for me. It’s always cool to see what everyone brings, and it often pushes us to get creative. Our meeting for The Night Circus, complete with Chocolate Mice! Do you have anything to add to my list? 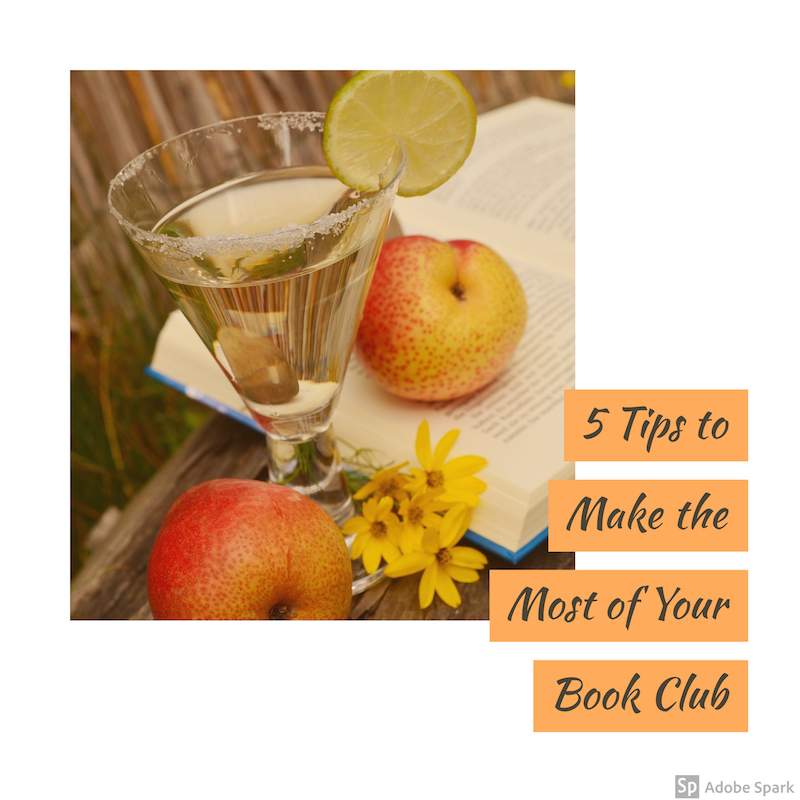 What are the rules in your book club? 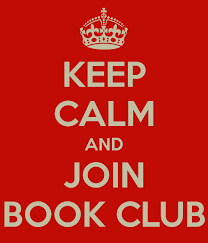 If you aren’t in a book club, is there a reason why?